VIVOTEK’s IP8160 is a stylish 2-megapixel wireless cube network camera designed for small-scale retail security applications. With a resolution of 1920x1080 at 30 fps, a removable IR-cut filter and built-in IR illuminators effective up to 8 meters, this remarkable camera provides users with superior image quality around the clock. Τhe camera supports two-way audio, and employs Acoustic Echo Cancellation (AEC) to enhance audio quality. IP8160 is designed for quick and simple setup. ..
A compact cube camera especially designed for indoor surveillance, best choice for boutique, department or convenience stores. The ability to view at a wide angle at 180 degrees provides complete video security with no dead angles. The unique mounting design facilitates easy installation on a wall or desktop, capturing faces at eye level. A built-in microphone further increases the level of surveillance while recording sound within a 5 meter radius. It supports the industry-standard H.264. Together with the ST7501 multi-lingual 32-channel recording software, users can set up an easy-to-use IP .. Outdoor IR Bullet, 1 Megapixel, 720P HD (30fps) 3.6 mm ..
SUPREME series product with 2-Mp or 1080p resolution & superb image quality. Adopting a 20x optical zoom lens, the SD8362E is able to capture details at top-notch quality. The IP66-rated housing protects the camera body against rain/dust within -40°C to 55°C, offering operation under extreme weather conditions. Especially suitable for monitoring wide open indoor/outdoor spaces such as airports, highways and parking lots. ..
* Multi-channel Monitoring and Recording Simultaneously ..
A compact cube camera especially designed for indoor surveillance, best choice for boutique, department or convenience stores. The ability to view at a wide angle at 180 degrees provides complete video security with no dead angles. The unique mounting design facilitates easy installation on a wall or desktop, capturing faces at eye level. 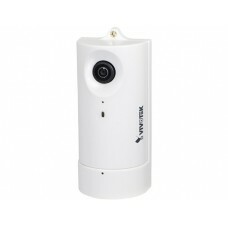 A built-in microphone further increases the level of surveillance while recording sound within a 5 meter radius. It supports the industry-standard H.264. Together with the ST7501 multi-lingual 32-channel recording software, users can set up an easy-to-use IP surveillance system.